Scrapping the Music has just finished celebrating the first half of its blogaversary month! I'd say, "here's a hint" but the challenge closed Sunday night at midnight central time, so instead you get to see my piece, LOL! At least I have a bunch of pretty backgrounds to cut up to use for ATCs, heh! For the second half of the blogaversary event, for each of the songs chosen by the design team members, you can do a piece and have an entry placed in the drawing, so if you do all six songs, you have 6 chances to win...Go HERE to see all the other pieces that the design team created!!! I picked my other favorite song of the bunch Gotye's Somebody That I Used to Know. Me & my Starbucks... unrequited love! LOL!!! Come play along, we've got some GREAT prizes!!! These are awesome!!!! And yep... he really is Mr. Gwen!!! lol!! And I love love love that version of Gotye's song the best!! LOL!!!! Yay! You showed the other pieces! oooo...that sure is a lot of pretty versions you don't like! Ha! I know what you mean. But really, you could put those in a frame! Love the end result, the grey, purple, the kind of india look to it! And you really crack me up! That piece you did with Starbucks is hilarious! Frame that one too! LOL! Starbucks/Siren...definitely...hypnotic! You crack me up!!!! I absolutely LOVE that layout and how you LOVE Starbucks!!!!! And I can't even believe how many background you made for your inspiration page. I love all of them and can't wait to see what you do with them - you have such a creative mind!!!! All kidding aside, your layout for your song is so cool! I love everything about it. OMG that video cracked me up! 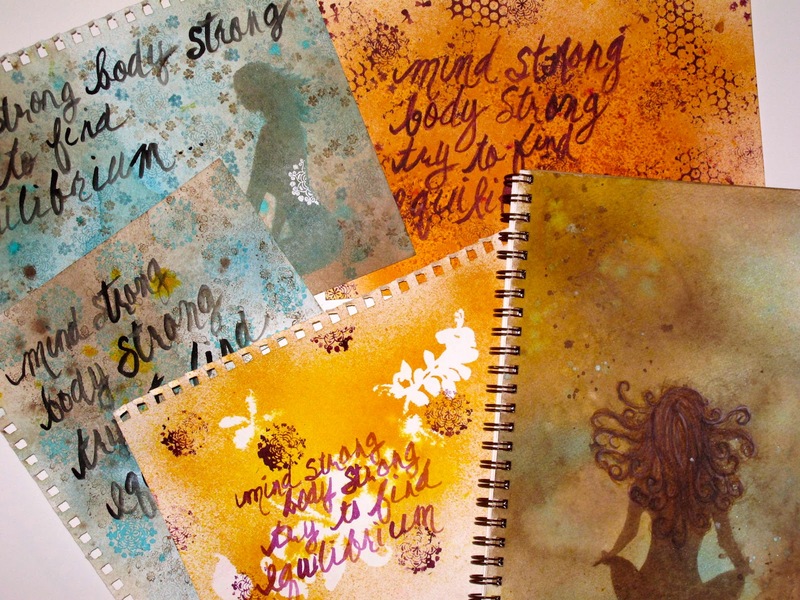 Your journal page turned out gorgeous Linda! Something tells me that versions 1 - 8 are awesome too - I'm glad you are not throwing them away! And your Starbucks layout is fabulous! HA!!! So much fun! Amazed at your Starbucks page, Love It! You're featured on the Paper Issues blog right now! Awesome piece!